The scale is not always on our side – What can we do? It could be that you have reached a plateau and your body needs change or it could be that you simply need to reassess your weight loss efforts. 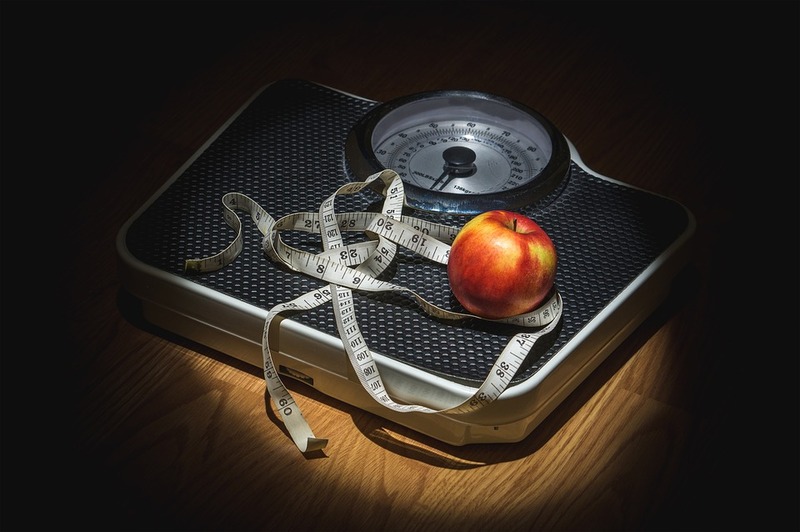 Are you spinning your wheels trying to lose weight but the scale is stuck? I’m hopeful this post will allow you to take a step back and revisit your weight loss efforts. Fall is almost here, kids are headed back to school, and we get to settle back into our routine. This is a perfect time to make change happen! First, let’s figure out if you have reached a plateau or if you simply need to revisit your plan. If you think of your body like a car it is easier to understand how each component assists the other in order to be fully functioning and efficient. If you let just one element go it can affect the performance, life span, and efficiency of the car. Same is true for your body! Its’ all connected. In order to help determine if you have reached a plateau you have to be sure you are making the effort necessary for your body to function efficiently so that you can lose weight. In my opinion, there are 5 important elements to weight loss. If you have all 5 dialed in and are still not losing weight than you have likely reached a plateau. Calorie Deficit: In order to lose weight you must consume fewer calories than your body burns- Its science and it is one of the most important elements for weight loss. You need a healthy caloric deficit (eat less than your body burns) in order to lose weight. Click HERE to determine approximately how many calories you burn a day. Exercise/movement: Exercise helps burn calories (helping to create a caloric deficit), increases our metabolism, and can help produce natural hormones in the body that can lift your spirits, help keep you motivated and energized. Ultimately, exercise helps makes you burn more calories, feel better, and in return you DO BETTER. Water: Your body needs to be hydrated in order to function properly. Dehydration can often be mistaken for hunger leading you to eat more and ultimately gain weight. Click HERE for a previous post I made about the importance of water. Sleep: Not getting enough sleep can increase your cortisol levels making weight loss more difficult. Click HERE for my previous post Sleep! It Does The Body Good. Nutrition: While it’s true that you can lose weight eating ice cream and donuts (if your calories are less than your body burns) you body will not function as efficient and your cravings might be altered. The more sugar and processed foods you eat the more you crave these high calorie and low nutrient foods. If you eat a diet rich in the vitamins and minerals your body needs you will feel better and like all the above elements you will DO BETTER! Click HERE for a previous post about how important what we eat is. If you know you could do better in any of these areas, readjust and revisit in a few weeks. You may start to see weight loss with a little more effort in one of these areas. If you have the above elements dialed in and the scale is still not showing change, you’ve most likely hit a plateau. Reaching a plateau happens when your body has actually adapted to the exercise you’ve been doing so it doesn’t have to work as hard to burn the same calories it used to. Increase the intensity of your workouts: Try High Intensity Interval Training (HIIT) or increase your resistance level of your routine workouts. Weight Training: The more muscle you have on your body the more calories you burn. Bottom line is that it boosts your metabolism! There is often a misconception about lifting weights and cardiovascular workouts. While its true that you might burn more calories during your cardio workout however, if you are weight training you actually burn more calories for the next 24-48 hours so ultimately it can burn as many calories as cardio and a it helps increase your muscle which in turn increases your metabolism. Add an extra workout session (or two) a week. It is possible that the extra effort will help push you past your plateau. Change it up! Try something new. Our bodies are smart and efficient and they adapt to exercise. If you have been doing the same routine, same machine, same reps change it up! Hop on a different cardio machine, grab some heavier weights, try some new moves, a new class, or even workout at a different time of day. REST! If you are exhausted from your workouts and feeling overwhelmed take a break! Stay on track with your food intake and enjoy a well deserved rest. You will be ready to get back to the gym after a week and it might be just what your body (& mind) needs. YES! I look forward to seeing you at the gym. September is a GREAT month for change and routine. Good post Sierra! I’ve plateaued 😦 Going to try adding in an extra run on days I do TRX or Yoga at the gym. I’m sure sleep is my problem too. Thanks for the good advice! Hi Jenn 🙂 Your welcome! It is so helpful to take a step back and make a few changes. Sleep is so helpful- sometimes even more than exercise. Keep me posted!